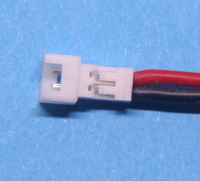 This page contains images and wiring information for connectors commonly used on micro models. 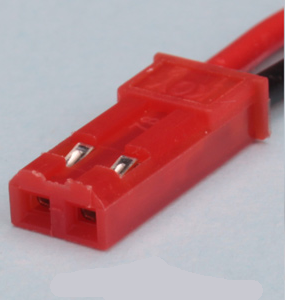 There is a lot of confusion and differences of opinion about which part of a mating connector pair is the socket and which is the plug. Micron uses the shape of the plastic parts to define plug and socket - the plug fits into a matching hole in the socket. 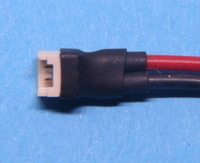 The image below of servo connectors contains plugs. TAKE CARE: although the convention is for negative on the centre pin, some equipment may have different wiring. The plugs for these connectors are all crimp type and, ideally, the special tool is used to form the crimps. This, however, is very expensive (> £300); cheaper tools are available for approx £40 (search on ebay for 'universal mini micro crimping tool pa-09'). If you don't have the real or cheaper crimp tool, then (with care) snipe nosed serrated edge pliers may be used to squeeze the crimp over the wire. Strip 1-2mm of insulation from the wire and insert into the crimp - I use tweezers to hold in place with one hand while folding the tabs of the crimp using the pliers in the other hand. Fold the insulation grip tabs first followed by the wire grip tabs. The insulation tabs should be squeezed just tight enough to hold the wire, any tighter and you may break through the insulation. The wire grip tabs should be squeezed as tight as you can. The JST-PH is commonly used on small 1S and 2S LiPo. Polarisation uses a 'fence' on the plug which fits into a slot on the socket; the plug fence is on the opposite side to the barbs which hold the metal crimps in place. 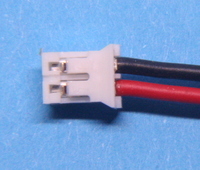 The 2 pin connector is used for high current 1S LiPo where the discharge current is too much for a 'UM' connector, which is specified to 1A (although frequently used up to 2A). 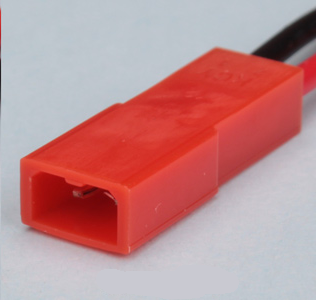 The 3 pin connector is used on 2S LiPo to eliminate the need for separate wires and connectors for discharge and charge balancing. 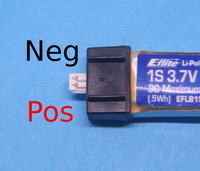 Note that the positive and negative wires are swapped when compared with the 2 pin plug. The centre wire is connected to the centre tap of the 2 LiPo cells. 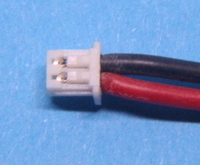 Receivers and ESC do not require a connection to the centre pin. 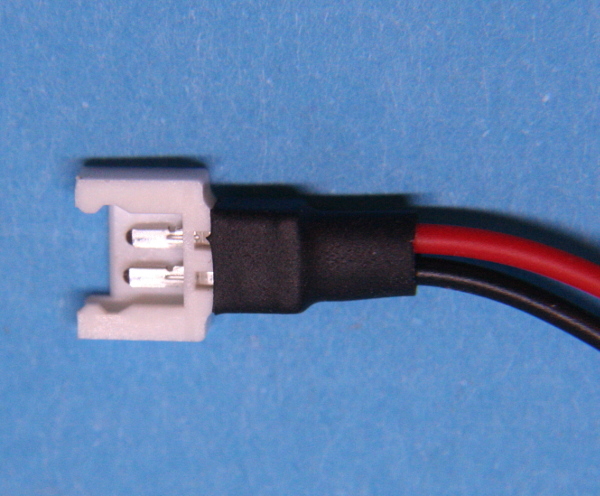 An adapter is available for charging these 2S LiPo from a charger with the common JST-XH balance socket. 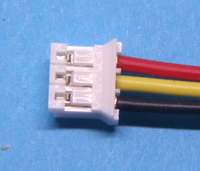 This connector goes by several names, often called just "JST". 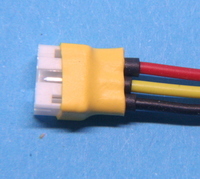 The correct name is JST-RCY; it is a compact 2 pin 2.5mm pitch wire-to-wire connector commonly used for low-current power connections. JST rate this up to 3A but modellers often take it up to 5A. 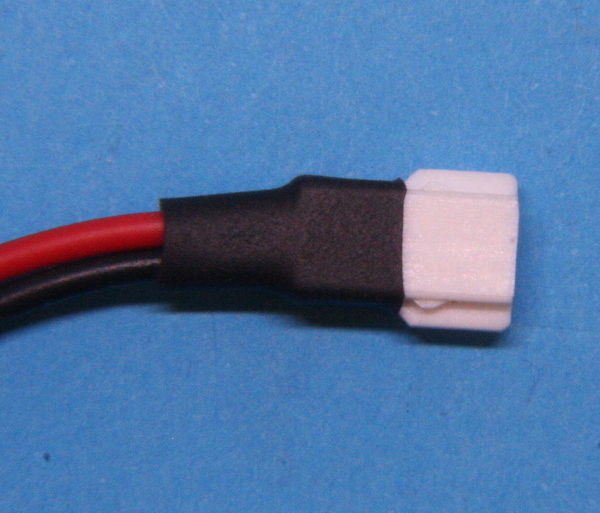 The plug is often found on small LiPo batteries and the socket (receptacle) on speed controllers. The convention for location of positive and negative wires is shown below. 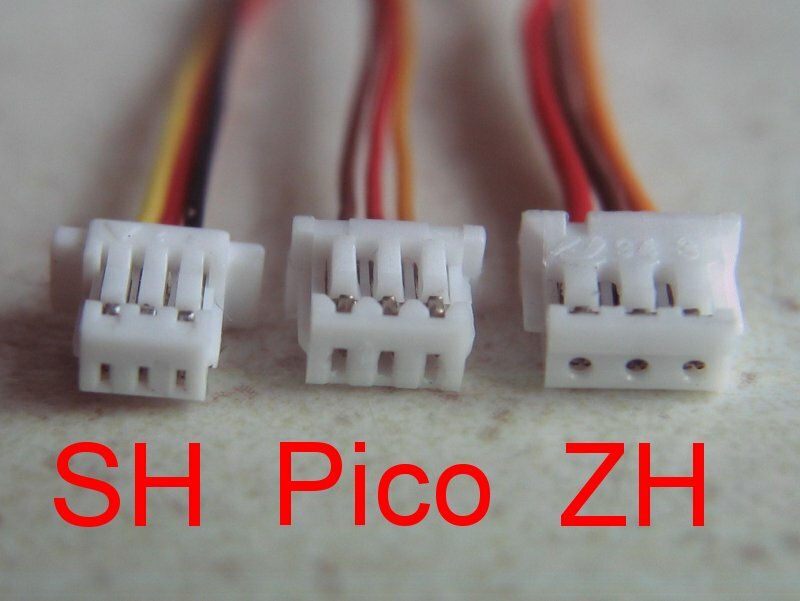 Molex 2mm connectors are used for small LiPo, they are smaller than JST-PH and the insert/disconnect force is lower which makes them suitable for use in small models / restricted space installations. 3, 4 and 5 pin versions of this connector can be used for balance connections where a JST-XH would take up too much space. Unfortunately, there is no manufacturer consistency in the way that the negative and positive wires are inserted into the shell. 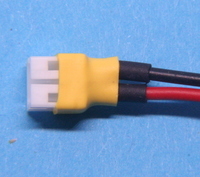 The Micron convention is that negative is at position 1 as shown in the images of the 2 pin connector below; please contact us if you need your LiPo or Molex 2mm leads wired with pin 1 positive. The small retention lugs at the side of the plug can be removed with a scalpel to make the insert/disconnect force even lower; these are the tiny bumps in the white plastic seen near the black heatshrink. DO NOT remove the larger tabs as this will defeat the polarisation protection. Removal of the retention lugs is recommended when the connector is used in a restricted space - e.g. inside a loco body.